The Lucky Star was almost entirely different in its construction, featuring a unique toe bumper, a durable Army Duck upper and full-length sponge in-sole. The Lucky Star High and Lucky Star Oxford, both featured a refined and more Americanised take on the classic Chuck Taylor shape and wore the brands collegiate influences far more overtly. The Converse Lucky Star High collection is available now, sizes range from UK6 – UK11 (including half sizes), with prices ranging from £65 – £70. 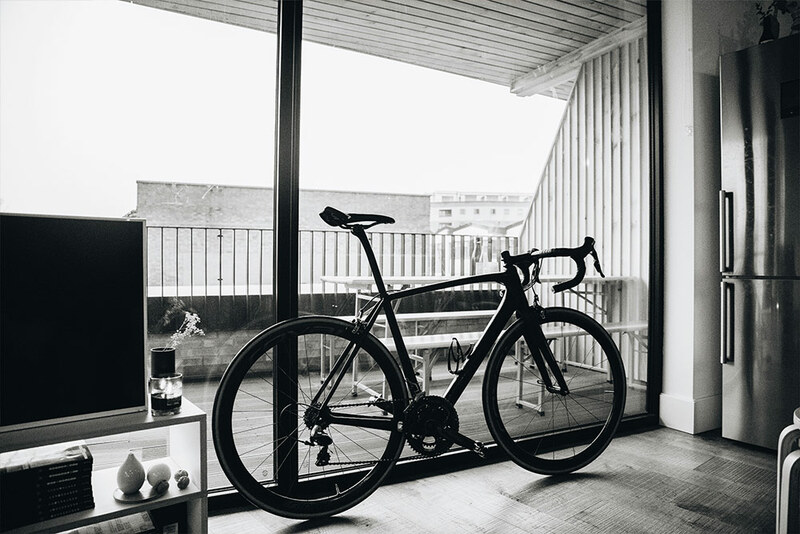 Few people appreciate clean, minimalistic and timeless design like East London based photographer, Oliver Hooson. 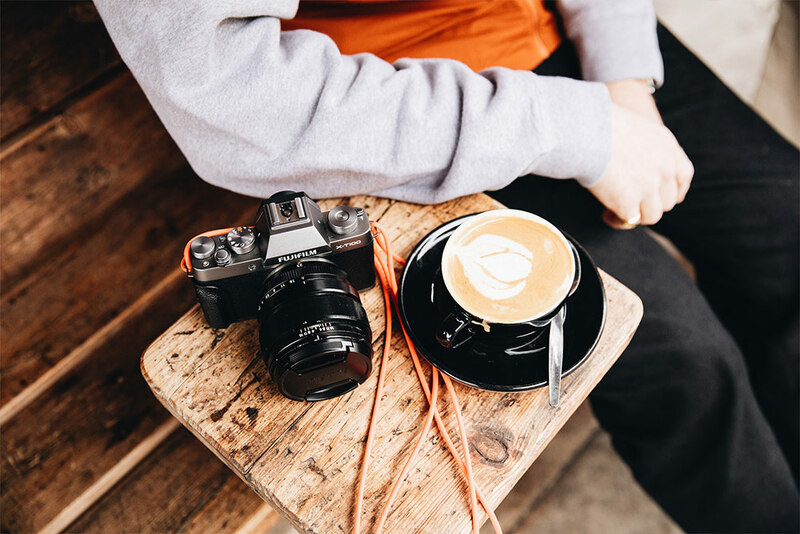 Aside from being a successful photographer, Oliver is also a menswear blogger, influencer and coffee connoisser, meaning he knows a thing or two about quality. 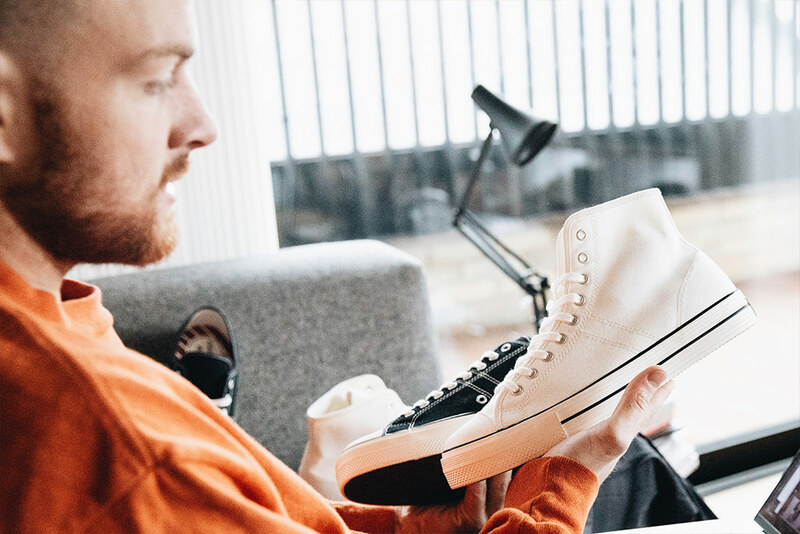 We caught up with him in his East London flat to talk about his influences, his love for Converse and his first impressions of the Lucky Star collection. Footpatrol: Firstly, for those who haven’t come across your work can you please explain a bit about yourself and what you do? 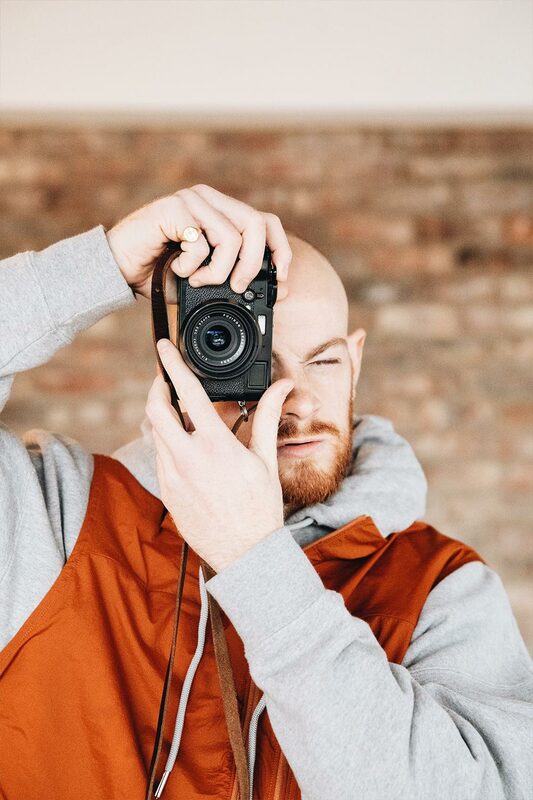 Oliver Hooson: My names Oliver and I’m a photographer, blogger and menswear influencer from East London. FP: How did you get into photography? OH: It was initially through skating actually, I started when I was around ten years old and eventually it got to a point where I wanted to document my hobby. And from there I began to photograph bands, it’s mental how many people have that start haha I think the sooner you pick that tool up and learn that language having that time on your side is perfect and eventually you become fluent. That’s how I learnt and studied it. I ended up doing the 9-5 grind for a few years and then started to post my work online and that’s what brought me back into it. I started posting to a small menswear community of people who appreciated good quality clothing and strong minimalistic design and it grew from there. FP: Did you discover your love of menswear through photography platforms such as Instagram or was it something you’ve had from an early age? OH: Instagram was a huge catalyst for getting into fashion and photography, I could try and dismiss it or try and find a cooler way of saying it but it’s the truth. As I started to get recognition and interest from brands, I thought I could definitely run with this and make it my livelihood. 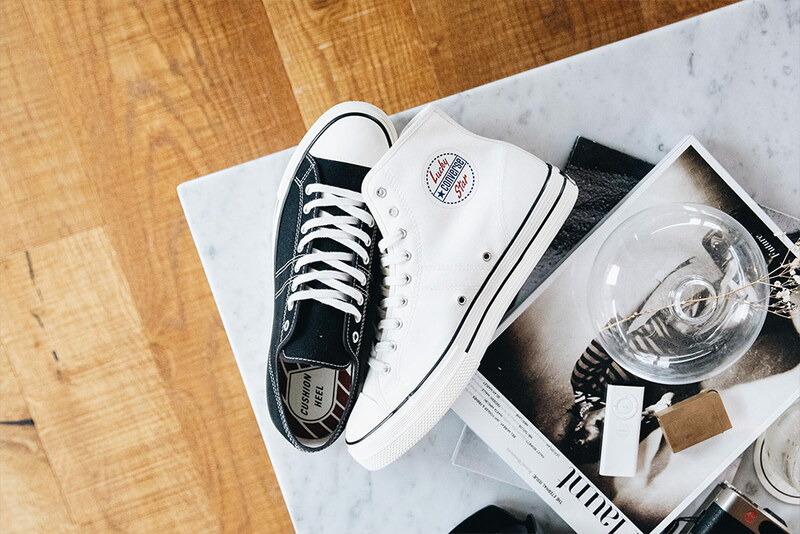 FP: How iconic is a pair of Chuck Taylors in the menswear scene? OH: The word versatile quite literally sums it up; there’s no other trainer I can go to for every occasion. 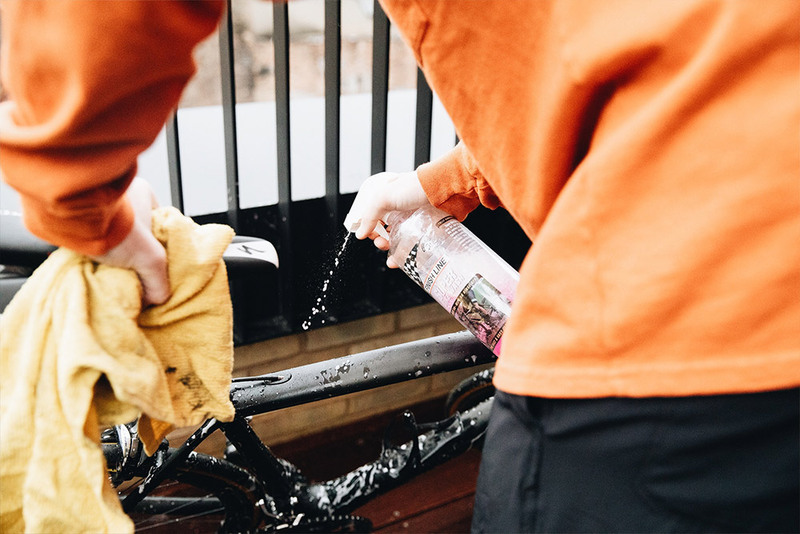 When you’ve got them on you’re coming out confident, you can run through puddles, you can scuff them, people can stand all over you shoes (which happens a lot in London), and weirdly they look better. FP: So, your someone that likes the wear the converse in rather than keep them pristine? OH: Don’t get me wrong I have certain pairs that I keep very clean but at the same time I have some pairs that I literally wear into the ground. After a while you realise the build quality and the legacy and heritage that comes with it and it will becomes a bit romantic. 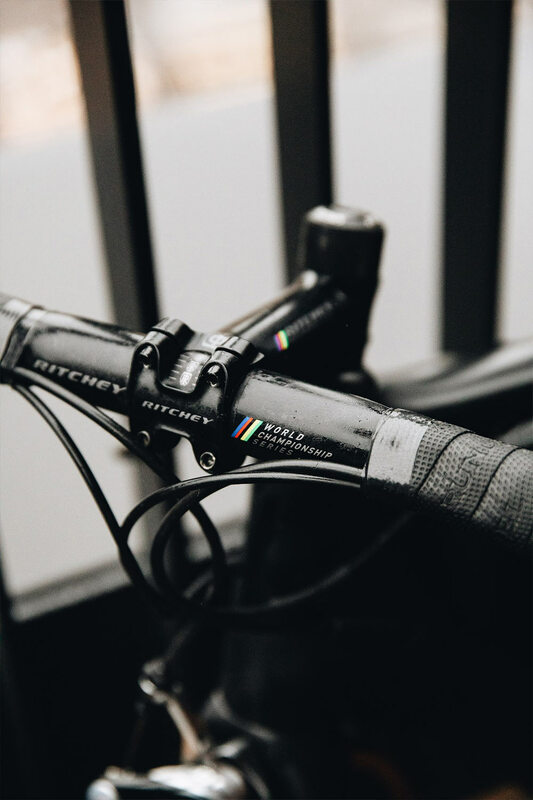 There are very few brands that hold the same prestige. 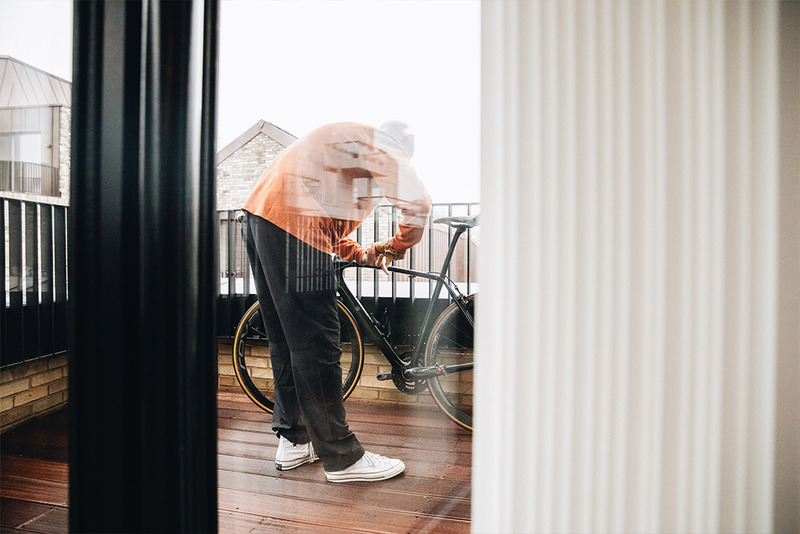 FP: From sneaker-heads to skaters to rockers to rappers, everyone will wear a pair of Converse, what is it about the Chuck Taylor that makes it appeal to so many different subcultures? 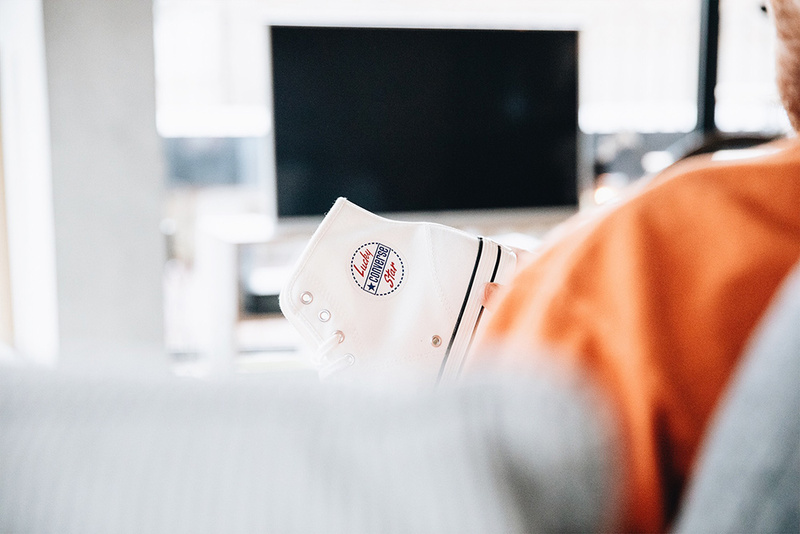 OH: Chuck Taylors are a highly sophisticated silhouette and yet at the same time so genius in their simplicity, which makes them so universal. 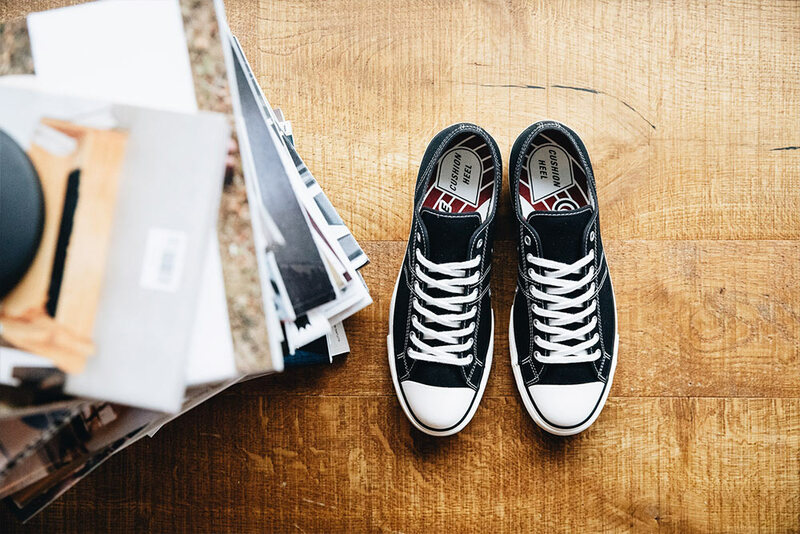 The shoe looks better the more you put them through your travels, and essentially act as a blank canvas that the wearer can decorate however they want, making them so appealing to the majority of people. There’s very few people that won’t rock a pair, and I think that’s a really nice thing. FP: Do you remember your first pair of Cons, did you get them around the time you started skating or did they come as your interest in fashion developed? OH: Weirdly I never really wore Cons when I started skating, I was mainly into really chunky trainers. I got a pair of classic black and white high tops which I tried to hustle into my school uniform, which didn’t really work, so they were shortly followed by an all black pair. FP: What was your first impression of the Lucky Star? OH: A breath of fresh air. I’d never actual seen a pair in-hand before and was very impressed. The matte around the sole, the branding, the font, the license plate – everything is super clean. 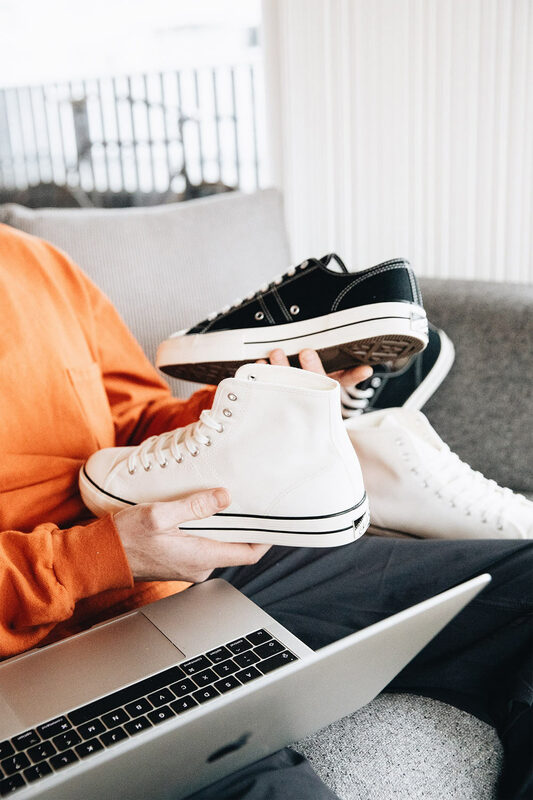 FP: Converse have had a lot of success over the last year with the One Star and obviously the Chuck Taylor is a classic, where do you think the Lucky Star will sit in the brand’s roster? OH: Do you know what, I’m not sure, but I’m excited to see. Everything else they’ve done recently has been unbelievable and the Lucky Star is such a tasteful trainer so I feel like people will be happy to have it on the shelves. FP: From a collab point of view what would you want to see Converse do with these? OH: Hmm, it’s random as they’re not usually my go-to brand but I’d love to see A-COLD-WALL* interpret these, I really like the direction they’ve been taking and the work they’ve been producing. Or NOAH! NOAH would be all over these. I feel like Snow Peak could always do a lot with the colours and materials. FP: Slightly off topic but anyone who follows you on Instagram will be expecting this question, how did you get so into coffee? OH: That interest came about around the same time as I started getting into Instagram actually, whether I was working or travelling, good coffee was always available. Whether you are you can always find a decent specialty coffee shop and find your people as such. 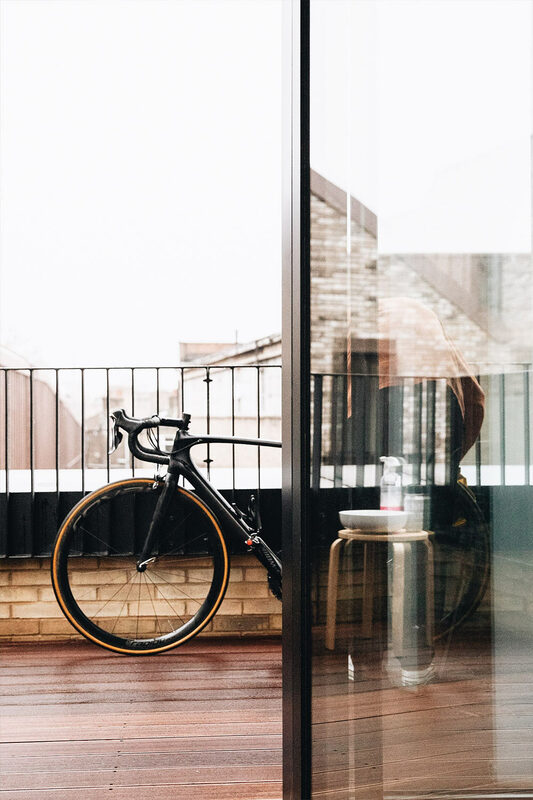 A good coffee shop is never just about the coffee, it’s a place to work, a space to go and enjoy and a space to literally be inspired by, and that’s what’s driven my love for finding a coffee spot. FP: What about in Soho? Where’s the best place for us to grab a coffee? FP: And does your love for interior design and product design stem from being in coffee shops? 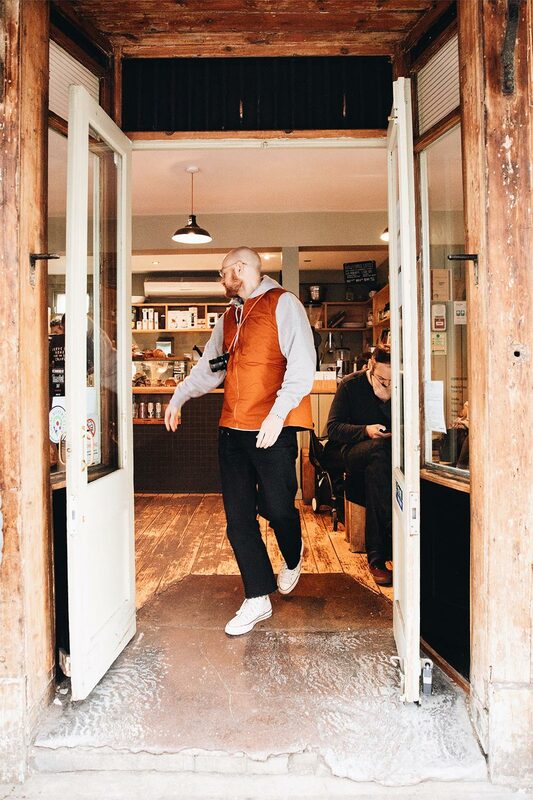 OH: Yeah, I guess there’s the fashion, the coffee, the design they are all fairly intrinsic and when you realise that these worlds crossover it’s always exciting, once you find out that everything you love is in one space it’s easy to be influenced by something new.